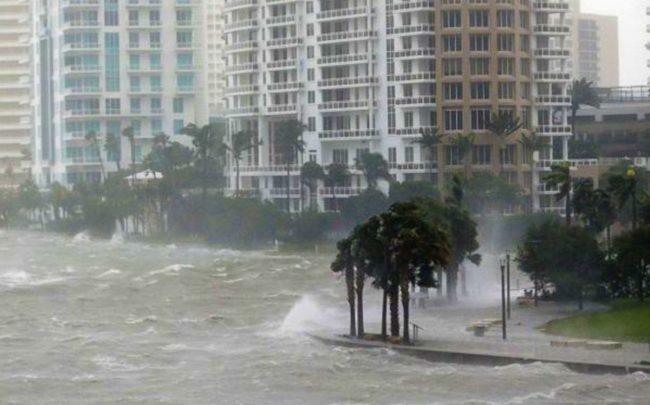 Taking a cue from Miami Beach, the city of Miami is hiring the Urban Land Institute to study its master plan and infrastructure projects designed to address the impacts of sea level rise, especially in waterfront neighborhoods from Coconut Grove to Edgewater. The Miami City Commission last week approved a $135,000 contract that calls for a ULI panel to recommend ways that the city and the private sector can invest money for sea level rise projects, as well as recommend updates to the waterfront standards in the Miami 21 zoning code and the Miami River Greenway Plan. The scope of work calls for ULI to recommend minimum design guidelines for multifamily, residential, commercial and office buildings in waterfront neighborhoods, as well as policies and projects that mitigate the threat of flooding and storm surges for existing high-rises and historic buildings that cannot be elevated. The panel would begin its five-day analysis on June 2nd and produce a report for City Manager Emilio Gonzalez. Earlier this month, the city broke ground on the first infrastructure project to address climate change financed by a $400 million general obligation bond program. Miami is raising existing roadways, constructing new driveway approaches and concrete curbs and putting in a stormwater pump station in Fair Isle, a low-lying residential area in Coconut Grove that experiences regular flooding. It is one of $10 million worth of infrastructure projects the city commission has approved so far. Others include 13 new pump stations installed in flood-prone areas. Last year, Miami Beach officials brought in a ULI panel to conduct a similar analysis of that city’s efforts to combat rising seas. In April 2018, the panel presented its findings, which called for Miami Beach to construct taller seawalls, using green spaces and art installations to absorb water and catch stormwater runoff.